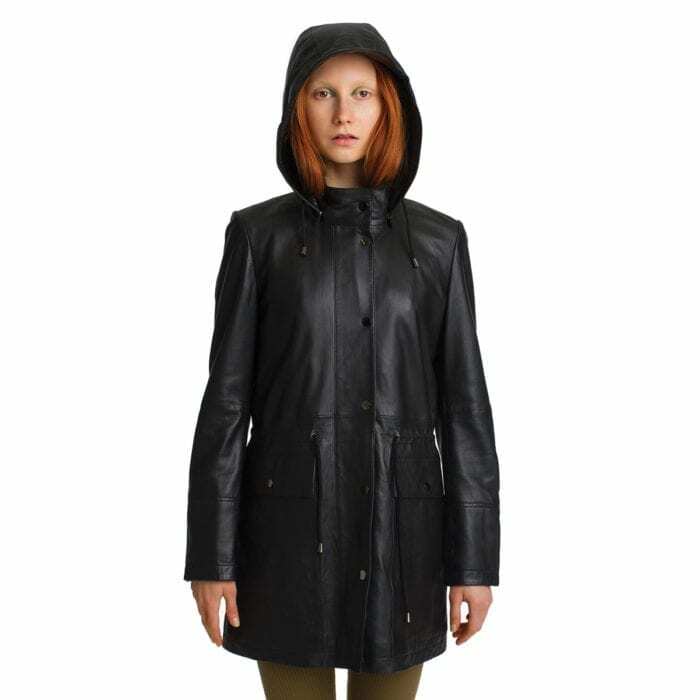 Women’s LUMI Leather Anorak, in black, is made of buttery soft full grain, trough dyed sheep leather. LUMI Leather Garments are created with our distinguished Scandinavian design approach of wearable, stylish and simple leather fashion. 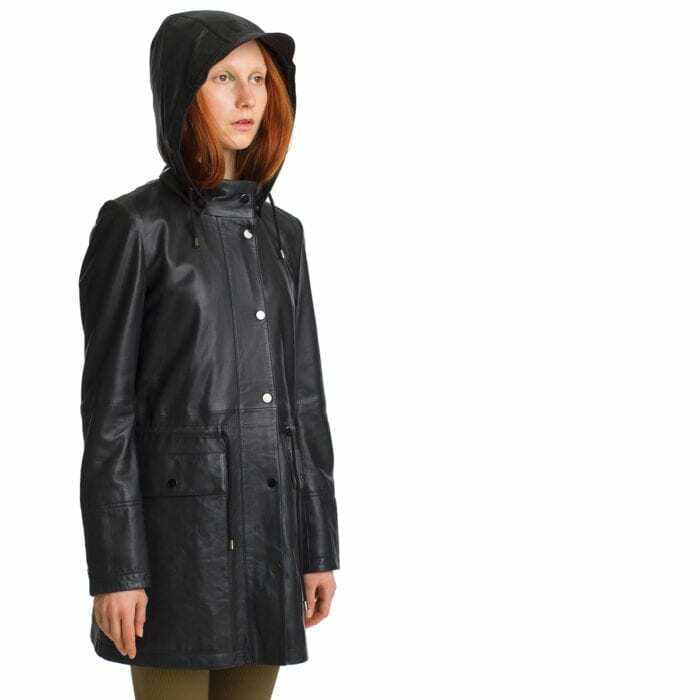 Women’s LUMI leather Anorak is made of buttery soft full grain, trough dyed sheep leather. LUMI Leather Garments are created with our distinguished Scandinavian design approach of wearable, stylish and simple leather fashion. Women’s LUMI leather jacket is made of buttery soft full grain, trough dyed sheep leather. LUMI Leather Garments are created with our distinguished Scandinavian design approach of wearable, stylish and simple leather fashion. 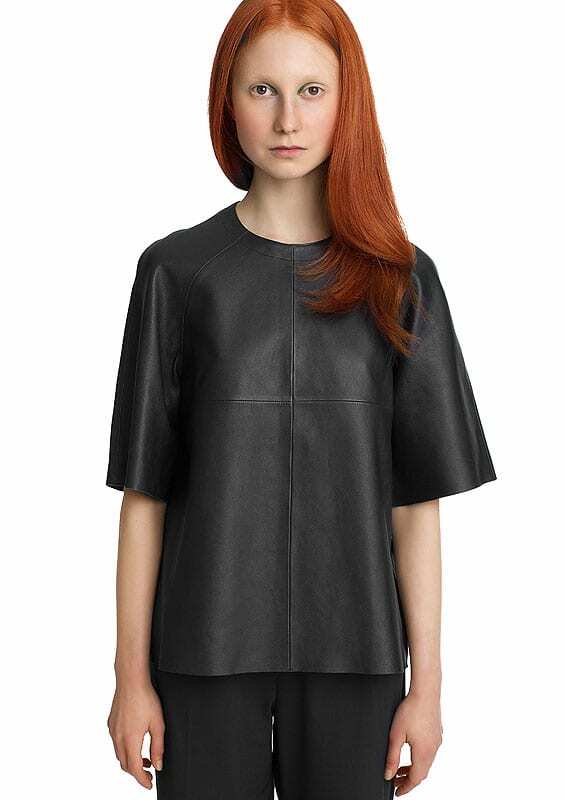 Women’s LUMI leather T-Shirt is made of buttery soft full grain, trough dyed sheep leather. LUMI Leather Garments are created with our distinguished Scandinavian design approach of wearable, stylish and simple leather fashion. Women's LUMI leather T-Shirt (size M) is made of buttery soft full grain, trough dyed sheep leather. LUMI Leather Garments are created with our distinguished Scandinavian design approach of wearable, stylish and simple leather fashion.